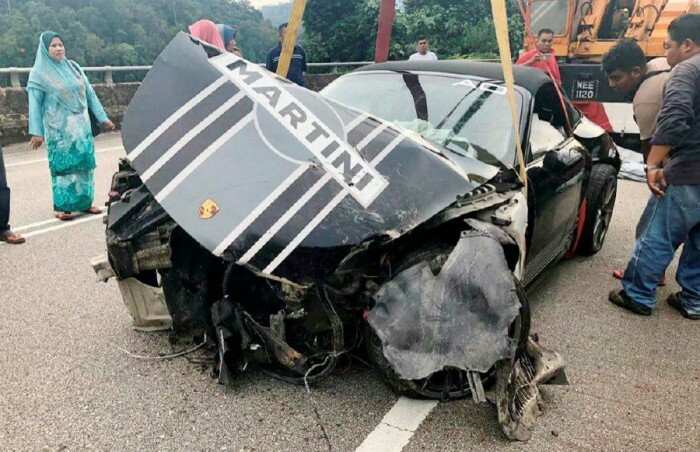 A Singaporean man was injured after the Porsche he was driving plunged off a cliff and crashed into a 15-metre deep ravine in Terengganu, Malaysia on Saturday morning (Mar 30). The New Straits Times identified the man as 45-year-old Ong Hong Woon. 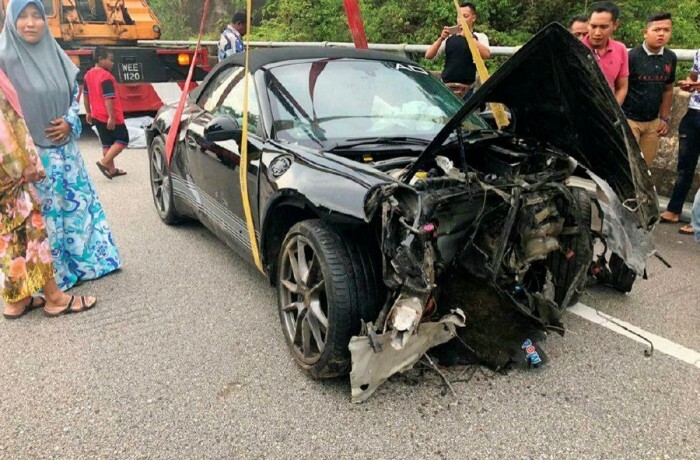 Ong had reportedly lost control of his luxury vehicle and skidded to the side of the road before plunging into the ravine along Jalan Aring-Kenyir at about 9am. Weather conditions at the time were described as fair. Photos taken by the local police after the Porsche was lifted out of the ravine showed the front of the vehicle badly smashed in. Hulu Terengganu police chief Deputy Superintendent Adli Mad Daud said: "The victim was en route from Dungun to Gua Musang when the accident occurred. "Aside from a broken shoulder, the victim also broke some of his teeth and suffered injuries to his mouth." He added that Ong was taken to Kuala Terengganu Specialist (KTS) hospital for treatment and that the accident is under investigation.